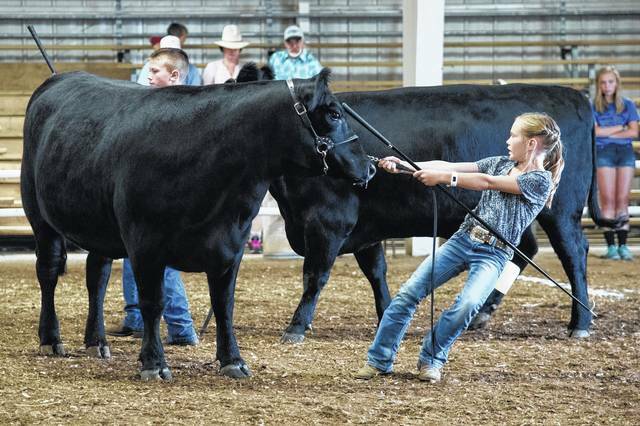 Shelby Cooper encourages her animal during the Angus pair of females class competition last week. More results from the Morrow County Fair, page X.
https://www.morrowcountysentinel.com/wp-content/uploads/sites/29/2017/09/web1_CowpullforPage1.jpgShelby Cooper encourages her animal during the Angus pair of females class competition last week. More results from the Morrow County Fair, page X.